It was a great and very psychedelic time. Stella & PJ spent days, weeks and months in their studio exploring sound and consciousness resulting in PSYCHOTRON, a ground breaking album in 1981 showcasing a lot of what was to become mainstream in electronic music, techno, psyTrance and even pop music. PSYCHOTRON was sold all over the world as a vinyl album and made it to number 7 of the British synthesizer charts in “Melody Maker”. The evening will conclude with a quintet in which all the artists will be performing together. Julian Bonequi, Mexiko (Percussion, Schlagwerk). 9 zentralamerikanische, 3 berliner Musiker und 2 mexikanische Video Künstler stellen in dieser einmaligen Veranstalltung ihr Filmprojekt Occeppa Sun, in Vorträgen, Filmausschnitten und Solokonzerten, vor. Was passiert wenn man elektronische Musiker und Videokünstler aus Deutschland und Zentralamerika für zwei Wochen in die mexikanische Wüste schickt? Noch dazu wenn selbige sowohl im Club als auch in experimentellen musikalischen Gewässern zuhause sind und überdies ein Faible für die obskuren Filme von Alejandro Jodorowski teilen? Das Goethe-Institut Mexiko hat in Zusammenarbeit mit den Gebrüdern Teichmann und Can Khan Oral im Februar 2015 zum Soundcamp ins „magische Dorf“ Malinalco geladen. Dort sind zehn Elektro-, Noise-und Rockmusiker aus Mexiko, Zentralamerika und Deutschland für knapp zwei Wochen zusammengekommen, um ihre verschiedenen musikalischen und kulturellen Wurzeln so zu verbinden, dass daraus eine gemeinsame Energie und nie gehörte Musik, in Kürze, die Gruppe „Mondmaschine“, entsteht. 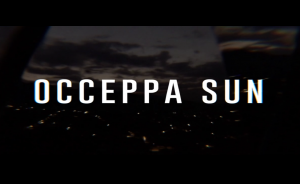 Inspiriert vom magischen Malinalco erarbeitete das Künstlerduo Viral Inc. parallel den Film „Occeppa Sun“, eine surreale Parabel auf den Kreis des Lebens. Weitere beteiligte Künstler aus Mexiko und Zentralamerika sind Mabe Fratti aus Guatemala-Stadt (Cello, Gesang), Ingmar Herrera aus Panama-Stadt (Saxophon, Keyboard, Electronics), Ronald Bustamente aus San José, Costa Rica (Feedback-Gitarre, Electronics), Clau Fernández aus Monterrey, Mexiko (Gitarre, Bass), Julian Bonequi aus Mexiko-Stadt (Percussion, Schlagwerk) und Santi Rodríguez aus Mexiko-Stadt (Mischpult, Effekte). Zu dieser Gruppe haben sich im Laufe des Projekts als Ehrengäste Gudrun Gut (Einstürzende Neubauten, Malaria) sowie Krautrock-Urgestein Hans-Joachim Irmler (Faust) und Ulrich Teichmann (Teichmann & Söhne) an der Querflöte gesellt. Als grandioser Abschluss wurde der Film beim Festival Nrmal in Mexiko-Stadt live vertont. 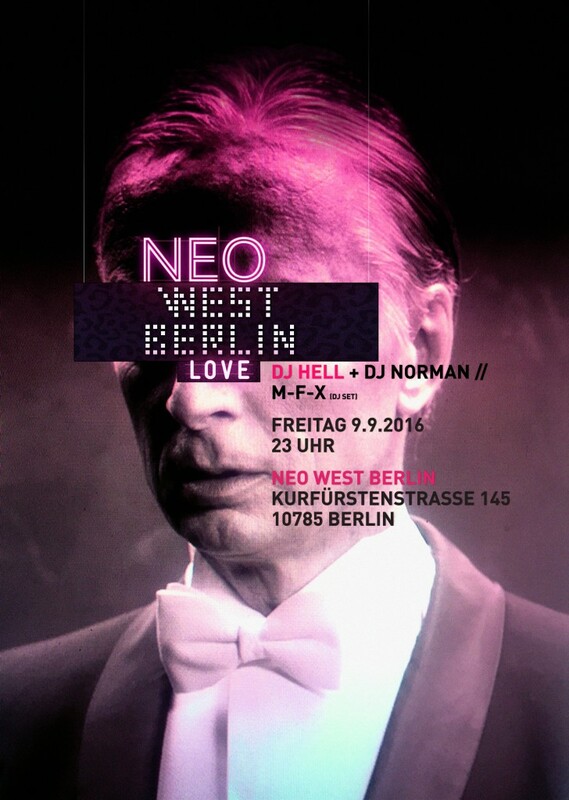 Introducing NEO WEST BERLIN from the art collective Neu West Berlin, at the intersection of grimy and refined, moving into a neo era with a party in our experimental escapists’ shelter for curious and creative souls. Headlined by DJ HELL ! A musical initiator of the 80s revival movement later known as electroclash. German house / techno DJ and head of Gigolo Records.http://m.soundcloud.com/djhellofficial! 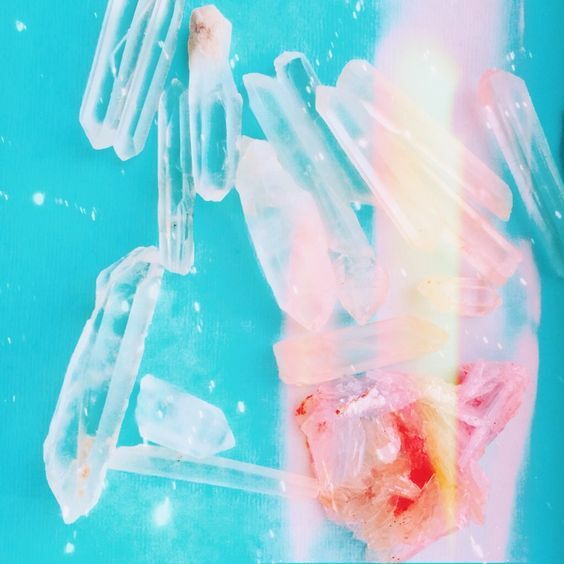 Ranging from the lyric to experimental form to translation, Kazim Ali and Nat Marcus present a reading of poems that exist in an in-between, a juncture: the texts are sacred and/or profane, trash and/or glam, Eastern and/or Western, of dawn and/or dusk, of the spirit and/or the flesh. Kazim Ali is a poet, essayist, fiction writer and translator. He has written several volumes of poetry, published several book translations, books of essays, as well as two novels. In addition to co-editing Jean Valentine: This-World Company, he is a contributing editor for AWP Writers Chronicle and associate editor of the literary magazine FIELD and founding editor of the small press Nightboat Books. He is the series co-editor for both Poets on Poetry and Under Discussion, from the University of Michigan Press. Ali is an associate professor of Creative Writing and Comparative Literature at Oberlin College. Nat Marcus is a poet, journalist, and performer currently based out of Berlin. He is the co-founder of TABLOID Press, a publishing platform for social poetics, and a contributing writer for the online publication Berlin Art Link; Marcus has recently performed as a part of What’s that dirt under your nails made of? at Karlin Studios, Prague, A r t – E f ( f ) a c t s at Am Flutgraben 3, Berlin, and SIREN, at Ernst-Reuter Platz, Berlin. Followed by an ambiant live by Pablo India & guests.